Today I get the pleasure of reviewing Little One-Yard Wonders by Rebecca Yaker and Patricia Hoskins. This is the newest addition to the One-Yard Wonders series. I love these books!! 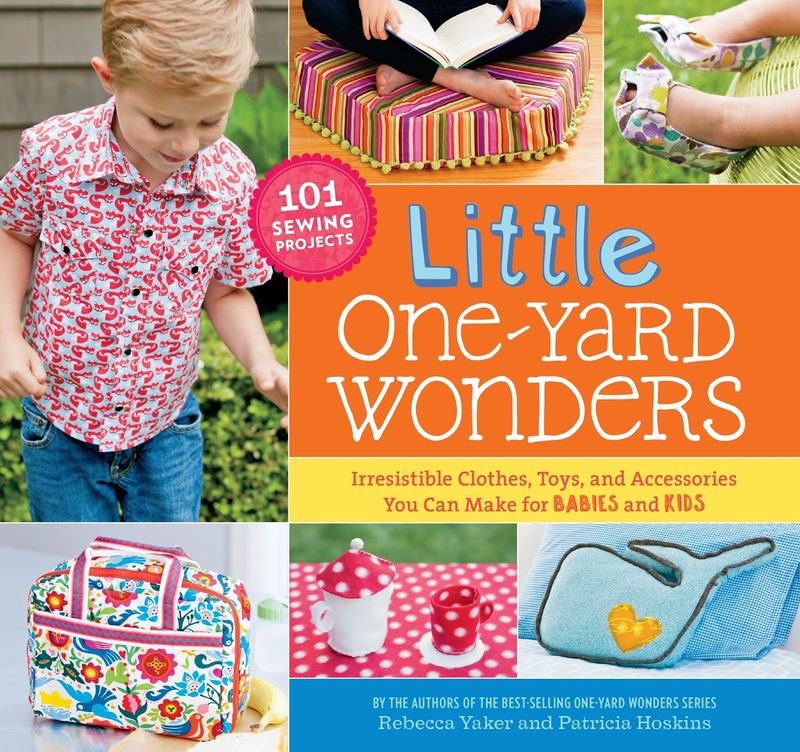 This book has 101 sewing projects for children and babies. It has everything from clothing to toys and room decor. Just on the cover you can see a floor cushion, shoes, a diaper bag and the mushroom tea set and more!! The first project I wanted to try was the Summer Days Hat. This hat is perfect for Hazel with her long hair that she always wants up. 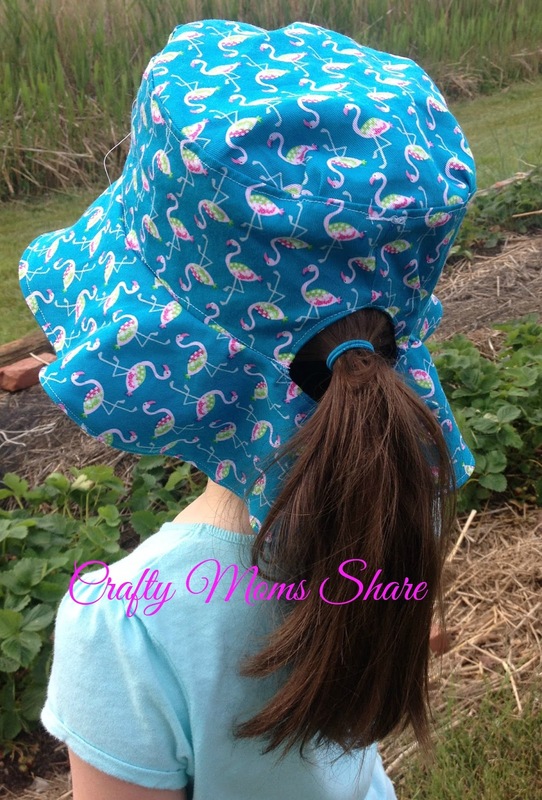 Her sun hats tend not to fit over her pony tail. This hat takes care of that with a space for the pony tail. I haven't sewn the velcro on the back flaps for the pony tail, but she has been enjoying it without it. The instructions were easy to follow and the pattern pieces were easy to find. My only complaint is that the pattern pieces overlap with others so you cannot cut them out. You must trace them and/or photocopy them. The sizing was also easy to figure out. 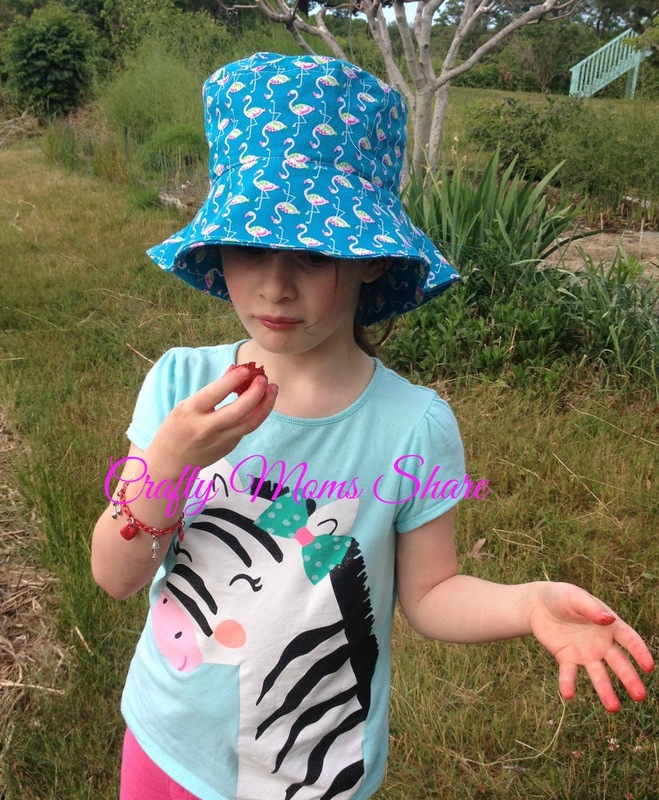 Hazel of course loved the flamingo fabric and wanted her sun hat out if. I bought enough to make her a skirt and a bag as well. 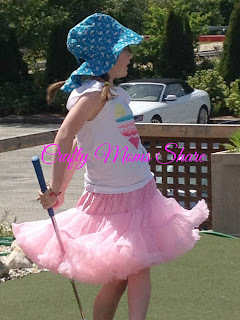 She wore the hat most of the time at Cape Cod this past week when we visited my parents. She spent a lot of time out in the garden with my father or at least eating the strawberries out there! She also got many compliments on the hat when we were out. I think my next project is going to be the doll carrier, but I also love the mushroom tea set. Stay tuned for what comes next! I can highly recommend this book. It has unique patterns and projects. 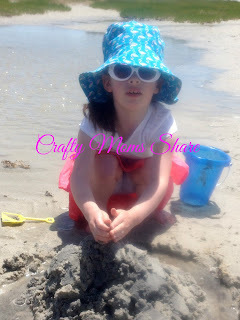 I loved the fresh take on things for kids and am going to enjoy making several of them! 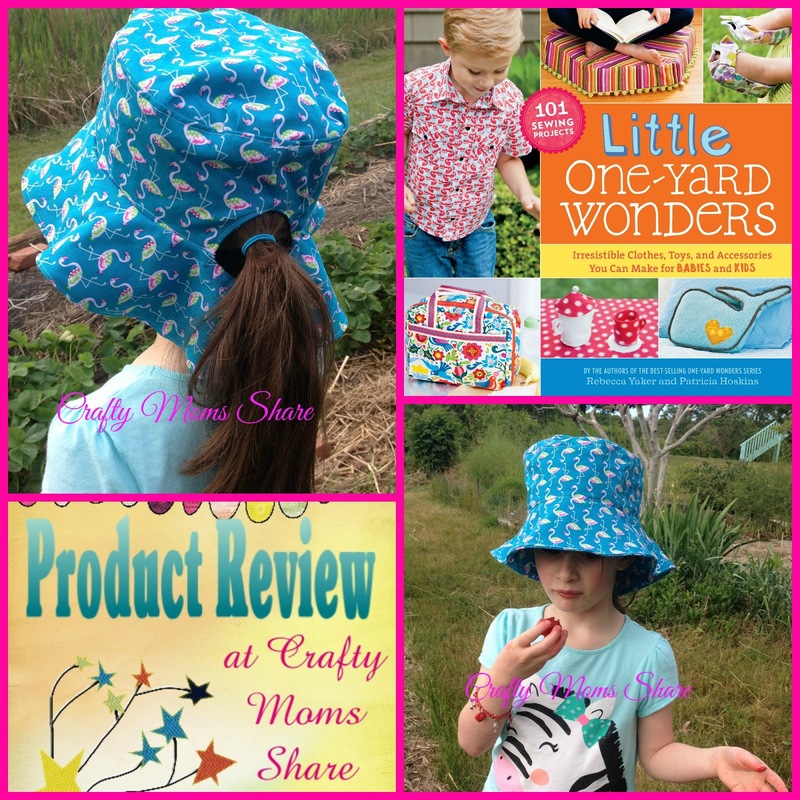 I hope you will check it out and enjoy the patterns as much as I have!